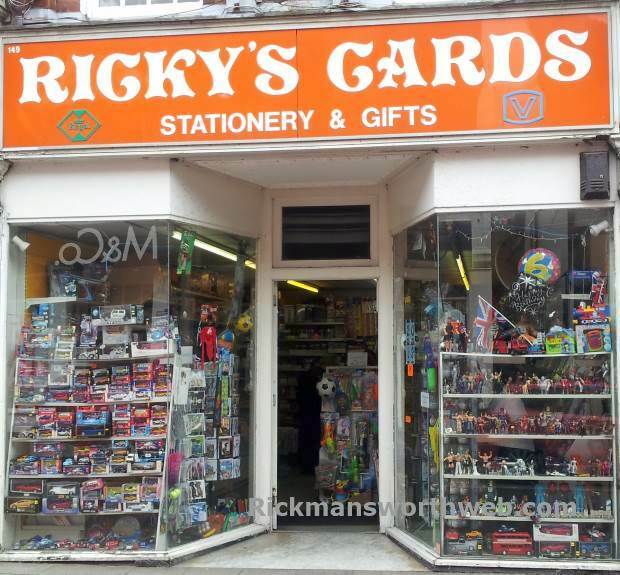 Ricky’s cards is a stationery and card shop on the high street. The shop stocks a wide range of cards for different occasions such as weddings, birthdays, anniversaries and also offers essential stationery such as gift bags, selotape and envelopes. What makes Ricky’s cards somewhat unusual is the wide range of figurines and toys that are displayed in the window. This display is regularly updated and you can often see items such as model soldiers, toy wrestlers and old fashioned toys.